ATLANTA, May 26, 2016 – ATP World Tour, No. 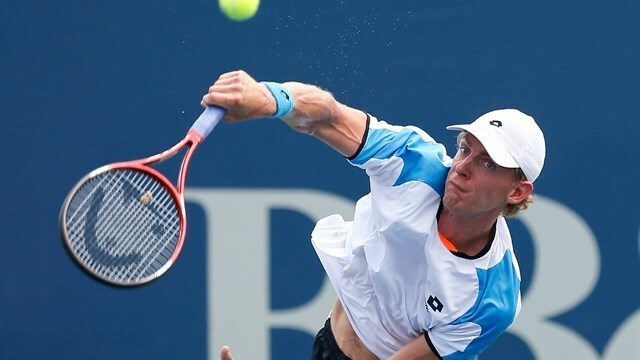 20, Kevin Anderson, has committed to the 2016 BB&T Atlanta Open, an ATP World Tour 250 event and one of the eight Emirates Airline U.S. Open Series events on the summer calendar. The 2016 BB&T Atlanta Open will be held July 30 – August 7, at Atlantic Station in Midtown Atlanta. Anderson's best result in Atlanta was in 2013 when he was defeated by Isner, in a three-set marathon, 6-7(3), 7-6(2), 7-6(2). The match reached new heights and made history in other ways as the two players -- 6’10" Isner and the 6’8" Anderson.-- combined for the tallest size of two singles finalists in ATP history. With Isner, Vedasco, Anderson and Andre Agassi, the 2016 BB&T Atlanta Open is positioning itself to be the “sporting event of the summer” in Metro Atlanta. Agassi will play a rematch of his 1996 Olympic Games Singles Gold Medal match on Sunday, July 31 on the Stadium Court against former rival Sergi Bruguera of Spain. Agassi, the face of tennis during a career that stretched more than two decades, won all four Grand Slam titles, including the U.S. Open twice and the Australian Open four times. Agassi has stated that tennis was his destiny, and he had assumed from a very young age that he was going to be a tennis professional. In his 40's, Agassi is the definition of someone who achieved that dream in American Sports: He won eight Grand Slam singles titles and an Olympic gold medal and is one of just seven male tennis greats to achieve a Career Grand Slam (winning an Australian Open, French Open, US Open, and Wimbledon).